If you are interested in a job which allows you to be flexible, gives you the satisfaction of helping others and affords you the opportunity to be your own boss, becoming a driving instructor may be just the career for you. Since the financial crisis and the worsening economy, more and more people have to decided to embark on a career as a driving instructor and when you consider the great salary on offer, the amazing job security it provides, and obvious career progression, it’s certainly a career path that will continue to grow in popularity. Becoming a full time driving instructor is an attractive proposition and it’s a career choice that has some significant benefits. 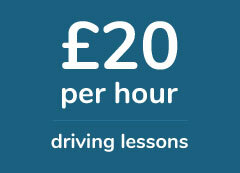 Becoming a driving instructor is an excellent way to work for your self and be your own boss. Many established driving schools offer franchise opportunities, providing instructors with the necessary support needed to build their own business, under the driving school’s brand. Fully qualified driving instructor can earn a great salary, often up to £700 a week operating a franchise of a well established school. Trainee driving instructors can earn up £300 a week during their training period, while it’s not unheard of for driving instructors who go it alone and start their own businesses to earn up £3,000 a week. Once you’ve qualified as a driving instructor, you essentially have a job for life. There will always be people needing to learn to drive and once you’ve acquired the necessary skills and experience to tutor people, you’ll be assured of a steady income stream for as long as you choose to instruct. Instructing enables you to meet new people while helping them obtain an essential skill they’ll use for years to come. Driving builds confidence and often helps people progress in other areas of their lives and if you’re someone who takes satisfaction from making a positive impact on another’s life, becoming a driving instructor will allow you to experience this in spades. A common perception among many people interested in a career as an instructor is that it’s difficult to get industry to get into, however this is not necessarily true. Although there are certain criteria that all potential instructors must meet, it’s a job that is open to all as long as you have the desire to learn, teach and deliver quality tuition. By law anyone who has had held a driving licence for over 3 years can teach another individual how to drive, however if you want to charge a fee for this service, you’ll need to register with the DVSA as an approved driving instructor. In order to ensure all new learners receive a sufficient standard of tuition, the DVSA requires all potential driving instructors to pass a three part test, created to ensure all instructors are of high standard. Potential instructors must pass all three parts of the test before gaining accreditation as an approved driving instructor. The first ADI test is multiple choice and hazard perception test, the second is a driving test assessing your ability behind the wheel, while the third tests an instructors ability to teach the DVSA driving syllabus. To pass the ADI Examination, potential driving instructors will need to undergo training and in most cases this tuition will be provided by an established driving school. Driving instructor training tends to consist of up to 60 hours in-car tuition and a further 10 hours of in-class tuition, aimed at preparing you for the multiple choice and hazard perception sections of the ADI test. Driving instructor training courses can be expensive and in some cases the training programme can cost up to £3,000, so it’s worth shopping around and calling up different driving schools, to see the different packages on offer. Once you’ve completed your training and gained your ADI accreditation it’s time to decide on what company structure you’d like to trade under. Newly qualified instructors generally have two options. They can either join an established driving school as a franchisee or go it alone and start a brand new business of their own. Both options have their pros and cons. Franchisees are effectively self employed, however they have the benefit of operating under an already established brand. Working in this way means there’s normally a steady stream of potential clients, much of the marketing is done centrally by the franchise and there’s no website or company documentation to maintain. The earning potential of a franchise although good, is somewhat capped as depending on the arrangement you agree to, you may have to pay a percentage of your profits back to the franchise each month or year. You also may struggle to grow your business beyond a certain point as many driving franchises don’t allow franchisees to take on additional members of staff. Starting a brand new business of your own can be much more rewarding, both financially and operationally. As a business owner you’re able to expand the business as and when you see fit, meaning your earning potential is far greater. You’re also in complete control of the business’ finances, marketing and company admin to, but with this control comes extra responsibility. As the owner of a driving school you’ll have to ensure the business runs smoothly behind the scenes, while still having to deliver lessons – at least in the early stages – to your clients. Irrespective of what option you choose, becoming a driving instructor is a great career choice and not only will you find yourself financially stable for the duration, you’ll also have the satisfaction of knowing you’re helping your clients develop an essential skill they’ll have and use for years to come. if you’re interested in becoming a driving instructor, fill in the form below and one of our friendly team will get back to you shortly.